If you’re one of the many employees who are coming to work for Lockheed Martin in the Dallas-Fort Worth area, we’ve got a warm welcome planned for you. 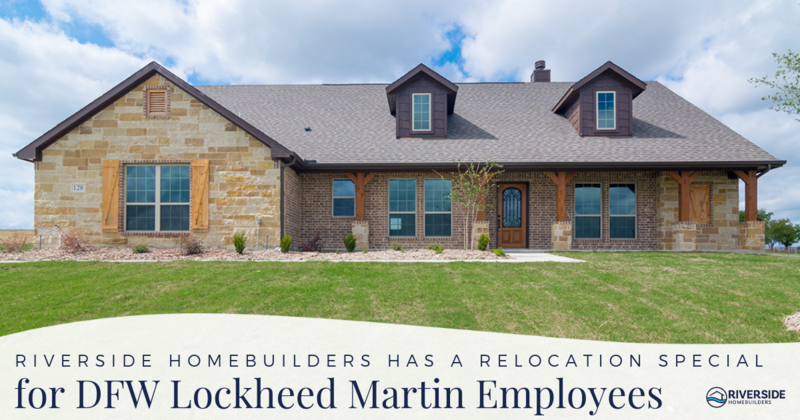 Riverside Homebuilders has a relocation special for DFW Lockheed Martin employees. Take advantage of our exclusive offer to support the company’s growth in our area by making it easier to buy a new construction home in an inviting neighborhood. Riverside Homebuilders has communities in great DFW suburbs, where you can get the best of country living and one-acre lots while still having an easy commute to the city. Whether you buy one of our move-in ready, single-family homes or let us build one for you, you can take your pick of several options on a certain number of homes. Are you planning to move quickly? We have new construction homes that are ready and waiting for you—from 1,506 square feet to 3,120 square feet of indoor living space, plus a private patio and all the amenities you’d expect in a brand new, energy-efficient home. Put down only $500 in earnest money, a savings of $1,000. Let Riverside Homebuilders buy down your interest rate to lower your monthly mortgage payment (up to $1,500 savings). Install 2” white faux wood blinds on all operable windows, at no charge. Get a move-in ready appliance package that includes a side-by-side refrigerator, washer and dryer. Get a free side-by-side refrigerator, washer and dryer. Enjoy a lower monthly mortgage payment when Riverside Homebuilders buys down your interest rate up to $1,500. No matter which relocation special you choose, you can also get up to $3,000 toward closing costs when you use one of Riverside Homebuilders’ preferred lenders. The Lockheed Martin Relocation Special is available to all employees who contract to purchase one of the homes included in this offer. With interest rates and home prices going up, now is the perfect time to give yourself something lasting and valuable. 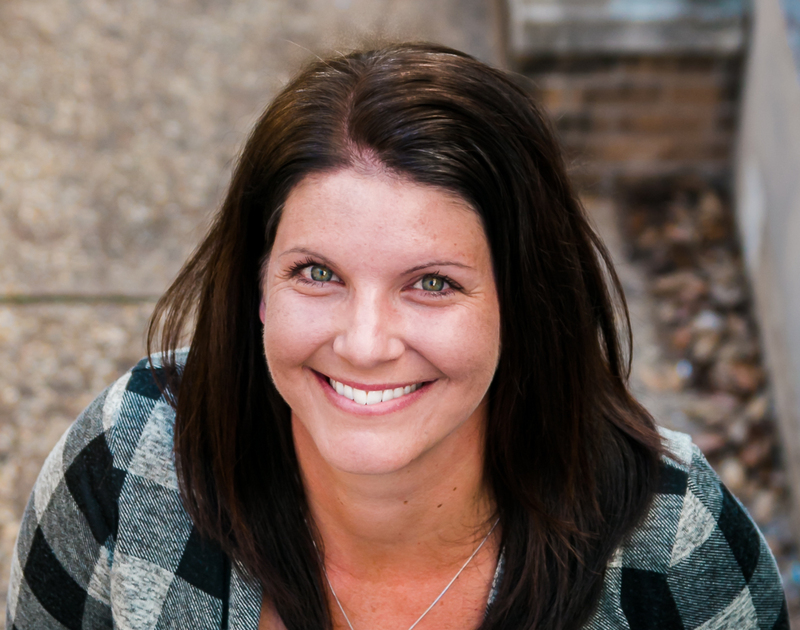 Get in touch with Rachel at Riverside Homebuilders today to explore the options for your new DFW home. Also take a look at our DFW Relocation Guide to learn more about settling in here.